← Stress? Take it lying down! Blogs can be powerful things, if they get you to think a new thought, or to come at a familiar situation from a fresh angle. If I read even one tiny thing in a blog or essay that gives me a new idea, I’m all thrilled about it. So many golden nuggets out there in the AT blogosphere! Here’s one I just read from one of my favorite AT bloggers: Can I meet this moment with…curiosity instead of assumptions? I practice my tai chi forms every day. I love to infuse them with my Alexander awareness and the weekly insights I gain in tai chi class. ‘Rooting’ is a very important skill to develop in tai chi, as it means you can’t be knocked over easily, even as you move freely ‘like a buoy in the water’. (That’s one of those golden nuggets from my teacher!) I’m a bit crooked, as many of us are. Rather scoliotic, with probably some leg length difference. Makes life interesting, especially when I’m looking to release my tailbone for proper rooting and connection to the ground. So! I was reading a missive from my colleague Clare. She suggests to the dancer who longs to do a free and supple plié (bending the knees, torso remaining upright) to think of the tailbone simply sliding downward to allow the movement. 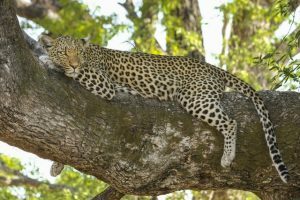 This thought helped me release tension in my lower back, legs, pelvis… and gave me an image of having a beautiful spotted leopard tail, which invited a bit more release. Which in turn made it easier to lighten upward from my improved contact with the ground.